Summary: Set against the backdrop of a post Bluestar Punjab, Chauthi Koot is the story of a Punjabi farmer who seeks to protect his family from the terrorists and the police. Every once in a while a film is made that attempts to break the general rigor of conventional storytelling. 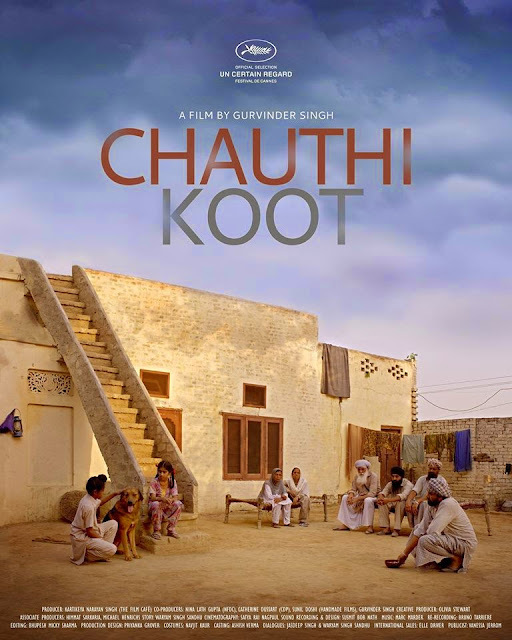 I watched Chauthi Koot by Gurvinder Singh at the Un Certain Regard Competition at the 2015 Cannes Film Festival. As the story of a farmer caught in post-Bluestar Punjab unfolds to the audience in a classic storytelling format, a second voice evolves which subtly takes over from the first one in an almost hurried and nervous way. The second voice is that of the animals in the farm that the story is set in… and primarily the dog Tommy who is all up to guard himself and his family because his instinct says so. The farmer Joginder Singh is caught in a nowhere land between the terrorists and the police. As the tension between the terrorists and the police escalates, the lives of hundreds of innocents take meandering segues through violence and post terrorism stress. Director Gurvinder Singh has crafted a poignant tale set with the backdrop of the legendary Sikh farmers. But the farmers in Chauthi Koot, young and old have a lost look in their eyes, one of sorrow and dejection. They are hardy men stuck in a hopeless situation. And that air pervades the rest of their dwellings and farmhouses. This desolate situation is more disturbing to the animals in Gurvinder’s story. Tommy, the dog wants to instinctively protect everyone. He is confused when he is asked to keep silent when he senses the enemy. If he barks, the terrorists on the prowl are annoyed and the police are tipped. So farmer Joginder Singh wants to keep him silent. But he fails. The chicken on the farm are a nervous lot… even the general scenes with chickens have a slaughterhouse quality about them. And sometimes one chicken or another just flies making the energy even more nervous. The cackling nervous energy seems to echo the general mood of the film. Their constant unsteady movement and disturbed behavior also work like a subtle foreboding throughout the film. The random bull that goes astray, the stray dog that follows Tommy’s caravan and some other scenes with animals keep the tension on throughout the film. All through this animal-speak, the filmmaker has captured some very uncanny insights. Gurvinder Singh’s first movie Anhe Ghore Da Daan won him national and international awards including the 59th National Film Award in India for Best Direction and for Best Feature Film. He has developed a complete auteur style of storytelling focusing completely on the textures of the moment as the driving force for the story. Space and its constructs seem to be important for him as the farmhouse standing solitary in the middle of the cornfields clearly signify. It is home in the most meaningful way for the farmer and his family but as the grandmother tells a passing visitor that their decision to leave their village and come reside in the middle of the farm was not the best decision. Yes they have more space but loneliness has also crept it. Director Gurvinder Singh has managed to again visually express this almost solitary confinement the family faces in the middle of their cornfields. Gurvinder’s storytelling style is minimalistic and he conveys more through sound throughout the film. This practice of his goes back to his student days at FTII and also later when he experimented with sound in his projects. He has showcased passing time with the help of ambient sound on one project. He has worked with the likes of Rabbi Shergill and Jasbir Jassi. He has worked extensively with Punjabi folk music. So it is only a natural extension that a film like Chauthi Koot uses sound as a voice in the film whether it is the dog instinctively barking or the lone bullet being randomly fired far off or the impending monsoon thunderclouds. Nature and the natural forces is where he has tapped into completely to augment this film. Apart from sound, Gurvinder keeps his camera movement classic and unobtrusive. The film just unfolds as beautiful minimalist cinema. The shots linger, conversations happen with no hurry and when these conversations happen, faces are studied again with no hurry. The camera and the edit work are done in complete tandem synchronicity. Scenes last longer, edit cuts are in complete art house cinema style. This helps one to delve directly into the characters in the film and remain in them as long as the story lets one be. In fact because of this style of edit, I as the audience found it very comfortable to sit and enjoy some good storytelling knowing fully well that the scenes would not start jumping. At the press conference that Gurvinder Singh had given for Chauthi Koot at Cannes, he mentioned that he was hugely influenced by the works of Iranian filmmakers like Abbas Kiarostami, Jafar Panahi and Moshen Makhmalbaf. He said that he would watch these filmmakers to see some of their local stories. On asked how he could take a small story from Punjab and show it to the world, he said that the story is the basic content but the director’s job is to evoke poetry through his storytelling of this particular story. This is where he strikes a chord with the global audience for a local story. He hopes to have achieved it with Chauthi Koot. I would like to conclude by saying that I would highly recommend this film for anyone who likes a certain gritty feel to the theme that is more texture driven than plot driven. It lays down the greatest of human emotions – of love, longing, security and betrayal with a tender and loving albeit minimalist hand. Gurvinder Singh has a film that is raw yet flowing with the understated elegance that is so typical of the Sikh community. Therein lies the greatness of his work. He does indeed weave the poetry that he hopes too. Chauthi Koot Trailer from Gurvinder Singh on Vimeo. Thanks Bindu... look forward to your thoughts on the movie as and when you get a chance to catch it... I, for one, am really looking forward to its Indian release! 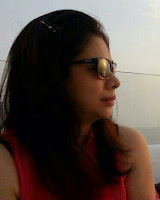 Tejas, I was equally taken aback by the use of Vivaldi's Four seasons. But I get a nagging feeling the version used in the film of the musical piece is a savage one, as I am used to hearing the same music in rounded and more mellow tones. Yes, the moot question for me would be why choose it as it does not complement the story, but merely enhances the effect on the viewer's ear. Sir, thanks for sharing your thoughts... I just can't wait to read your analysis of Force Majeure! Great review! Eagerly looking forward to this. Have his first film on DVD...have yet to catch up with it, though.